Packing is never fun, but if you remember the bare essentials it always makes for happier travels. To reduce stress of finding things in the abyss of a tightly packed suitcase, I think its all about compartments which means everything is easy to locate. A small and chic luggage case is essential for weekend trips. Make sure it is small enough to fit on the plane, particularly on Easyjet and, dare I say it, Ryanair as they are very strict on bag size. Decant your hair shampoo into little bottles or buy the travel size. Leave these in the same wash bag in your cupboard so you know where they are and that you have everything you need for each trip. Muji do great bottles for decanting. Small toiletries leave more room for shoes! 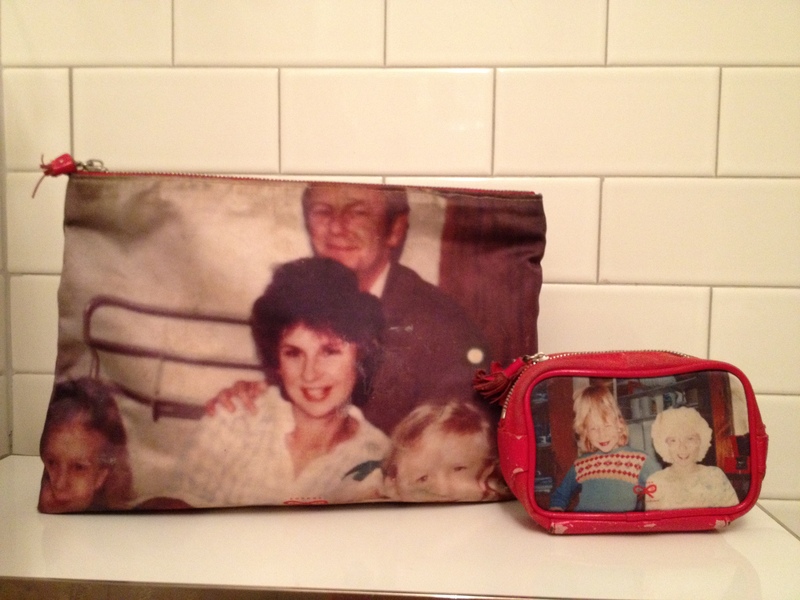 I love my Anya Hindmarch washbags with photos on. When travelling alone, its nice to see friendly faces with you! I use the large size for all bottles, perfume, toothbrush, toothpaste, exfoliating mitt etc. I use the small bag for cotton wool pads, hair bands, hair clips and ear buds – as these would get lost and ruined at the bottom of the big bag. I take make-up on the plane so I can freshen up and look presentable when I land. 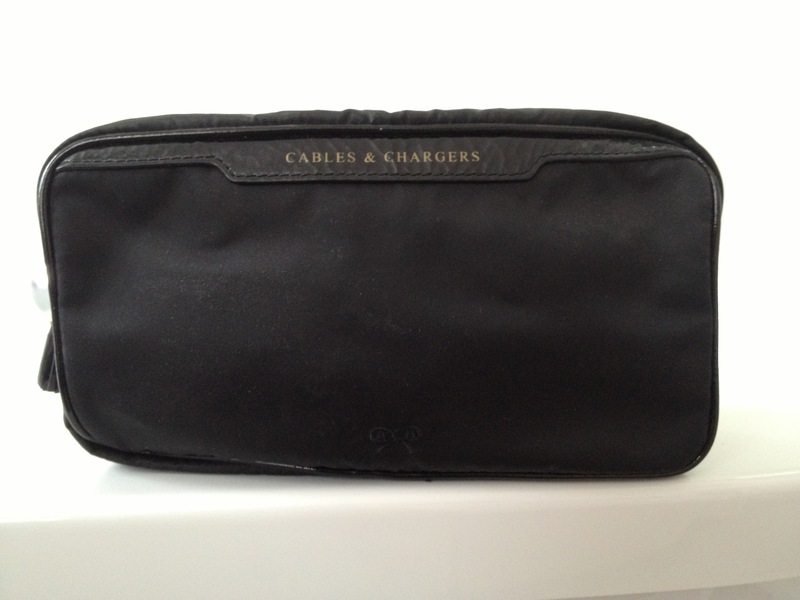 I have this great transparent Anya Hindmarch make-up case to flash in front of grumpy security control! Jewellery is especially great for short trips as you can transform the same outfit. This little jewellery carrier ensures everything is safe, in one place and easy to see. There is nothing more annoying than forgetting your phone charger or an adaptor. Keep all cables and chargers in one bag. I tend to fly with this in my hand luggage; after a bad experiences with delays and missing connecting flights and then not having any way to contact someone the other end to tell them you won’t be arriving as expected!! Never rely on travel hairdryers or hotel room hairdryers. It’s a compromise on suitcase space, but worth it in my experience. Get a spray tan and manicure before you leave home. Take a spare pair of knickers and bikini in your hand luggage. You never know when your bags might not make the plane. For long haul – take sleeping pills, painkillers, eye mask, earplugs and warm socks in hand luggage.